This petition has been created by Barbarah N. and may not represent the views of the Avaaz community. The Glade Community Watershed in West Kootenay's is slated for logging now, with licenses being held by 2 companies. There is no time to wait as trees are being cut in many Community Watersheds now and more are slated for logging. Contracts are in place and roads are being built. Community Watershed groups have no legal voice, no legislated processes that have meaningful impact. There is no reasonable means to hold forest professionals and government agencies accountable for their damage to watershed. BC Community Watersheds Need Protection! 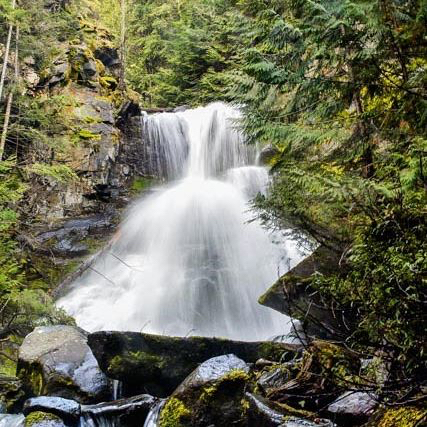 The history of legislation of BC water tells a story of industry gaining control of water and trees as commodities, leaving water users responsible for damage inflicted through industry activity in Community Watersheds. This has to stop now and it is you and I who will do it. An Immediate Moratorium on Industrial Logging in BC Community Watersheds. Citizens of BC have the right to clean, safe water. And in order to have that, we need to protect the forests that help to produce and protect the water.